Bonaire’s cool Caribbean trade winds provide the right environment for kiteboarding almost 365 days a year. The kiteboarding area is located on the south-west tip of Bonaire and can be found by following the brightly colored kites soaring through the air. 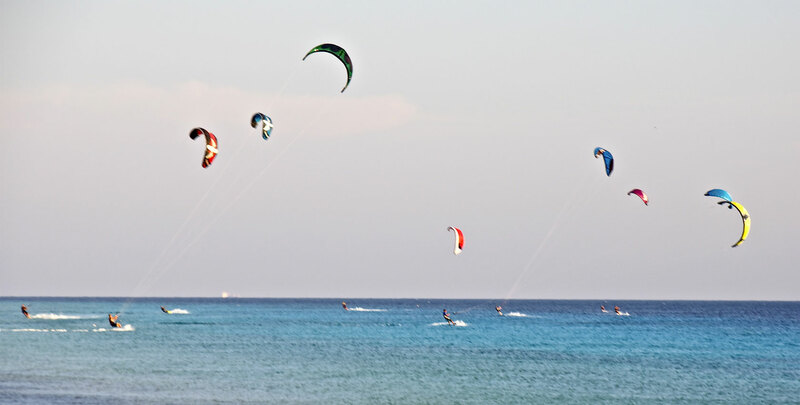 Never been kiteboarding and want to try? There are two schools you can visit or contact; Kiteboarding Bonaire and the BonaireKiteSchool. For more information on rules and regulations for kiteboarding on Bonaire, visit the Bonaire Marine Park. Kiteboarders, don’t forget to bring or purchase a Nature Tag.